Then a POEM, now a POANG. 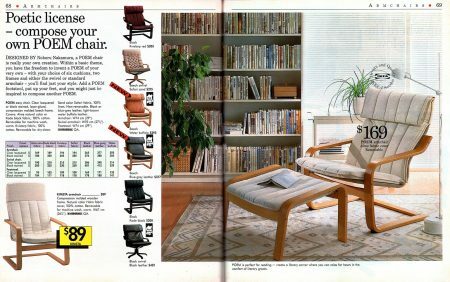 IKEA has been supplying simple , stylishly contemporary furniture for over 70 years, and their catalogs are almost as important as their showrooms. Can you call something “Danish Modern” if the company is Swedish? 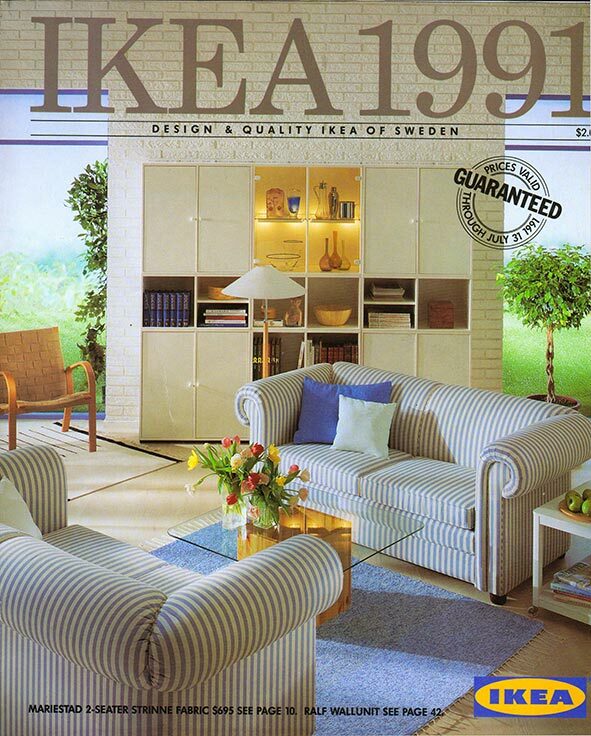 In 1991, IKEA only had five locations in America, and most people had never heard of them. Then (as now) their catalogs tried to expound on their philosophy as well as design. The ’91 POEM chair wouldn’t be out of place in the 2017 IKEA catalog – and indeed, it’s direct descendant, called the POANG, looks strikingly similar — and is actually cheaper in real dollars than the 1991 leather POEM. While we usually point how how different the old catalogs and products are, this is an unusual case where a catalog and its products have aged well after a quarter century. Next Next post: Cadillac, Jr.